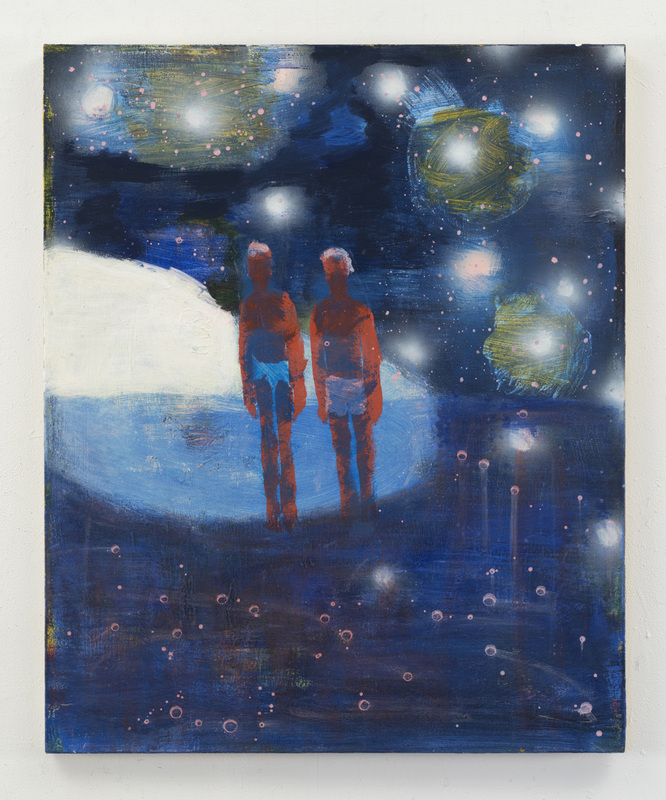 Ashley Stull Meyers interviews painter Katherine Bradford whose exhibition Divers and Dreamers is on view at Adams and Ollman, Portland, Oregon through June 3, 2016. Bradford comments: "I want to examine large themes that exist in any time or place—themes like isolation, community, play, or wonder. My paintings are full of awe for our place as small beings in an immense scheme of things. Is that a romantic notion? I feel my settings are universal and timeless and exist in the past as well as the future. The deeper, darker palette came first [in making Divers and Dreamers] and suggested outer space at night. Outer space is a joy for any painter of large color fields. You’ve probably already guessed that my favorite colors are dark blues and purples. It’s full of the mystery of a dark, unchartered universe and gives me boundless opportunities for the invention of multiple light sources."